Spring seems to be around the corner and with that comes the excitement and anticipation of warmer weather and a new, cheerful wardrobe. I've been trying to keep my shopaholic demons at bay but it's hard to not get excited about all the fun new items on my shopping wish list. This month the two main pieces I've been loving and longing for are the gorgeous Mix Media Heels by Anthropologie and Kate Spade's newest tote bag, the New Bond Street Hadley. 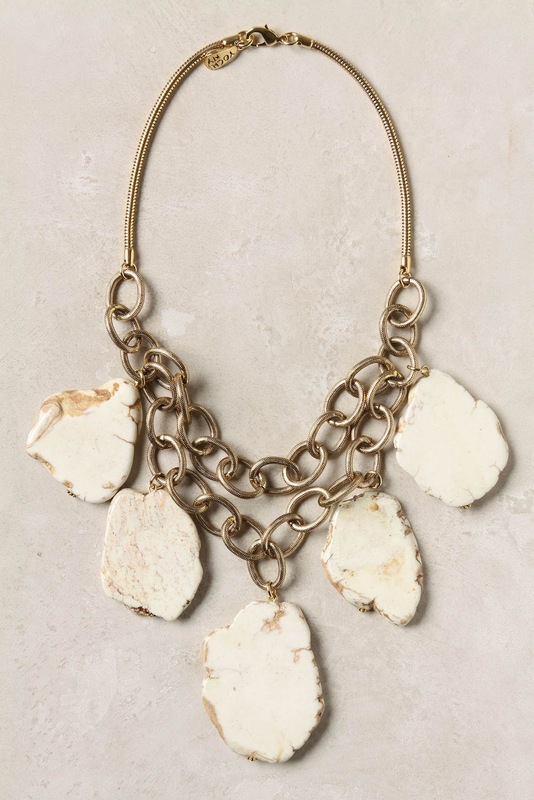 Both items are versatile and add the right amount of color and texture while still working well as a neutral. Anthro's Mix Media heels are seriously to die for. They have a python-embossed peep toe, a woven heel, and purple suede straps. In love! I love how feminine yet funky they are. 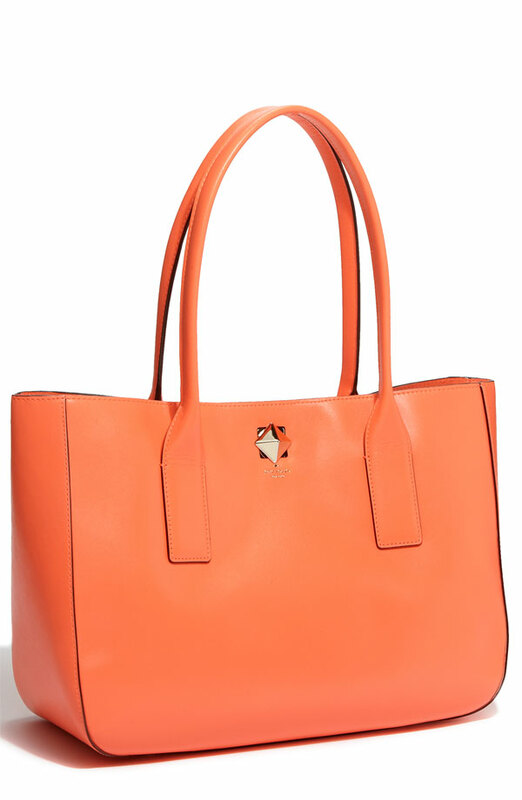 Totes are also a great wardrobe accessory. They're so in right now and really add polish to an outfit. I love how chic they look with a dressier outfit and how well they contrast with a more casual ensemble. The Bond Street Hadley is beautiful. It comes in black as well but I love the bag in its pop of coral color. Today, I'm sharing how I'd incorporate the two lust-worthy pieces with two different outfit styles. One outfit is dressier and great for the office or a more formal afternoon event, while the other is more casual and great for brunch with friends or a casual date. All the pieces I've chosen to style these outfits will be great additions to my new wardrobe. 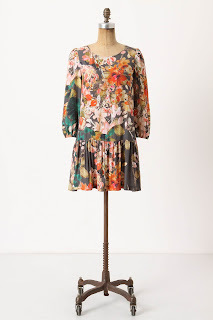 Anthro's Watercolored Gems Shift dress is amazing. It's a beautifully bright hue and has a great Mad Men feel to it without being too retro. 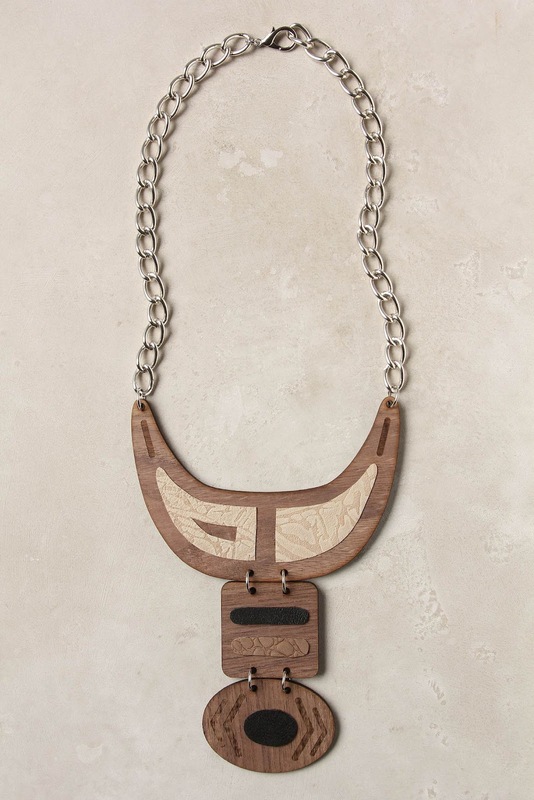 To keep the outfit interesting and contemporary, I would add a more a more modern statement necklace like this Fanned Ibis Necklace or this wooden Khaya Necklace, both from Anthro. You can then see how the coral bag adds the right amount of color and the heels add contrast while still staying in the same palette as the necklaces. 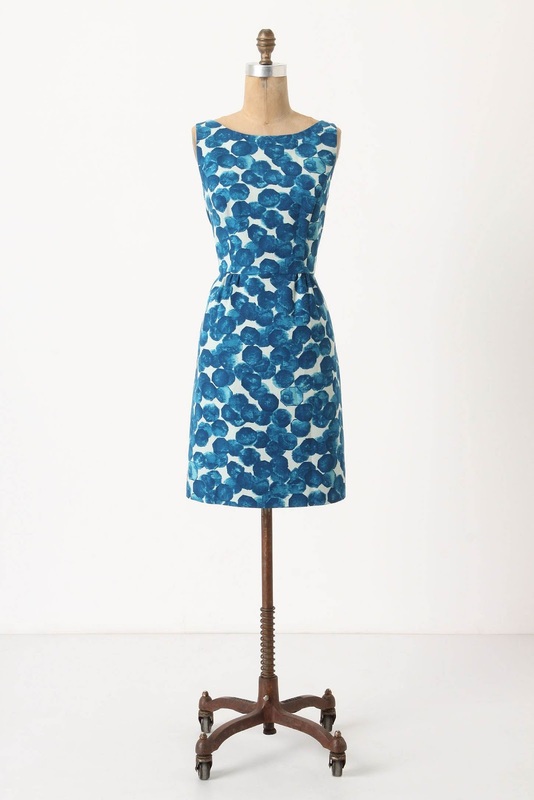 Another dress I've been eyeing is Anthro's Minutiae Dropwaist Dress. 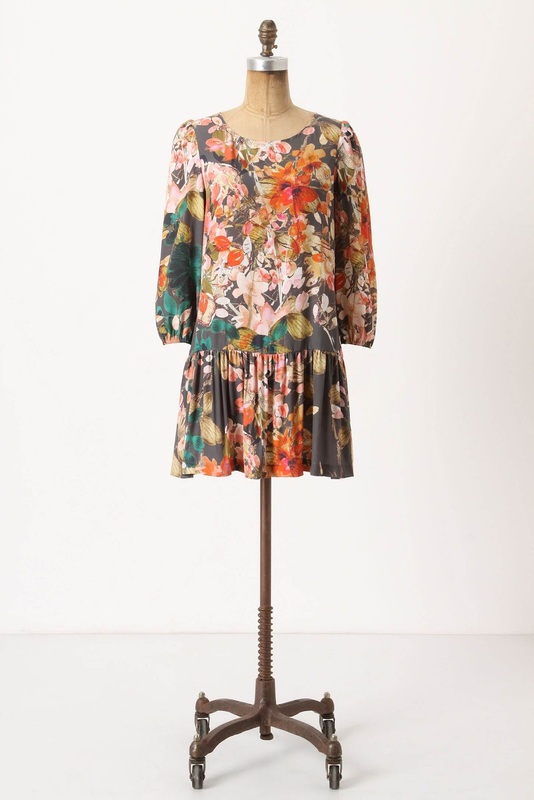 It's floral, bright and full of character. Since the dress is so busy I'd add minimum jewelry to keep the look as simple and uncluttered. I love Anthro's Fairburn Necklace in white which is made up of volcanic rock, ancient lava and faceted agate. It's neutral in shape and shade but adds an interesting texture to the dress. These items also look great with the punchy-colored tote and the purple suede heels and add the perfect amount of polish and funky flair. So, as you can see a great tote and pair of shoes can really pull together an outfit. I'm loving all these items on their own but loving them even more together. I'm all about mixing patterns, colors, and textures and am so glad it's such a hot trend right now. I hate a matchy matchy outfit and love tying an outfit together with one common color or texture but otherwise experimenting with shapes and shades. I'm excited to share more lust-worthy outfits with you in anticipation of the amazing new season upon us! What do you think of my style and outfit choices? 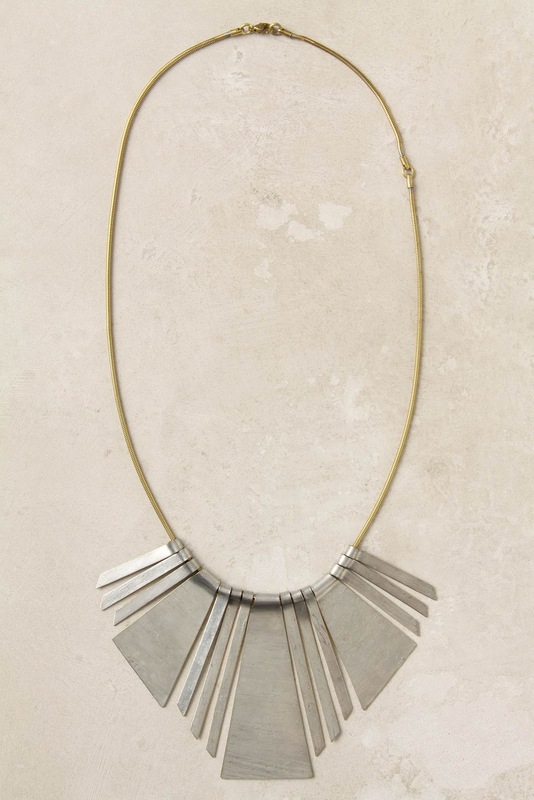 What amazing pieces are you lusting after? Share your favorites!